Tax on Notional rental income for builders to be calculated only after 1 year from the end of the year in which completion certificate is received. Basket of financial instrument in which capital gain can be invested without payment of tax to be expanded. For joint development agreement, the liability to pay capital gain tax will arise in the year in which project is completed. For Andhra Pradesh capital, land belonging to owners as on 2.6.2014 to be exempted from capital gain if the same is offered under land-pooling mechanism. Concessional withholding rate of 5 per cent. for interest received by foreign entities on loans given in India to be continued for another 3 years beyond 30.6.2017. Start-ups to get two relaxations under the scheme of Income Tax holiday given last year. (a) The condition of continuous holding of 51 per cent. voting rights to be relaxed as long as the original investment of promoter is not diluted. The period of carry forward of MAT/AMT credit increased from 10 years to 15 years. The corporate income tax to be reduced from 30% to 25% for companies with turnover upto Rs.50 crore in 2015-16. This will benefit 96% of existing 6.67 lakh companies. This will result into tax saving of 16.67% for these companies. Deduction for provision for NPA of Banks to be increased from to 8.5% instead of 7.5% of profit. In case of NPA of non-scheduled cooperative banks, interest to be recognised as income only when received. In the presumptive income tax for small traders, income to be taken as 6% of turnover which is received by digital or banking means. Cash expenditure allowable to be reduced to Rs.10,000 from the existing Rs.20,000. Cash transaction of above Rs.3 lakh not to be permitted. The penalty of equal amount to be levied in case of breach. The cash donation to political parties from one person limited to Rs.2,000/-. Electoral Bond to be introduced for facilitating donation to political parties from explained sources. Political parties to file their return in time limit prescribed in the Income Tax Act. Domestic transfer pricing to be applied only if one of the two companies enjoys specified profit-linked deduction. The audit limit for business entities opting for presumptive scheme to be increased from Rs.1 crore to Rs.2 crore. Individuals and HUFs not required to keep books of accounts if their turnover is up to Rs.25 lakhs or income is upto Rs.2.5 lakhs. TDS of 5% not to be deducted for individual insurance agents if they certify their income to be below taxable limit. Personal income tax for people with income in the slab of 2.5 lakh to 5 lakh to be reduced to 5% instead of 10%. This will reduce their tax liability to half while all other tax payers above this slab will also be benefited in terms of lesser tax of Rs.12,500 per individual (revenue loss ofRs.15,500 crores). Surcharge of 10% to be levied on individuals with income between Rs.50 lakhs to Rs.1 crore (revenue gain of Rs.2,700 crore). TCS exemption for state transport corporation in respect of purchase of vehicles. Income of Chief Minister’s relief fund exempt from tax. Penalty on accountant, registered valuer and merchant banker for furnishing incorrect information. In order to ensure timely filing of return and expeditious issue of refund, a fee shall be levied for delay in filing of return. 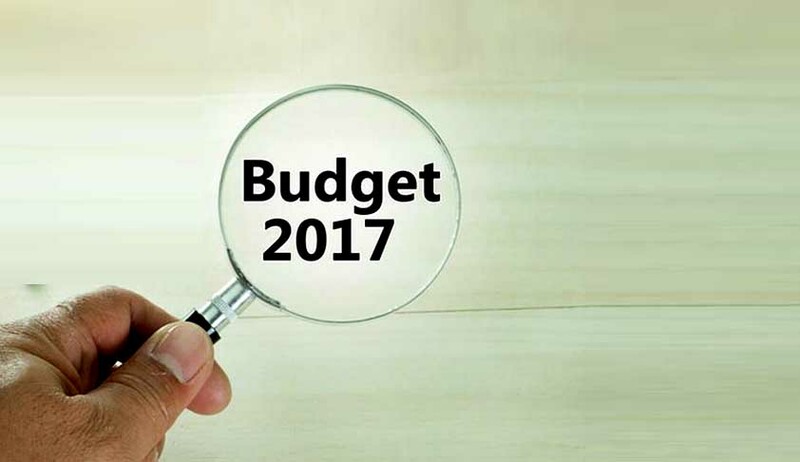 Read the Key Highlights Of Budget 2017 Here.